Azurite-Malachite and Pyrite for Full Moon Eclipse 8-18-16 – GemPowerment. Reveal your light. Greetings to you, my Sparkly GemPeople, and Happy Full Moon Blessings! No time for a full post today, but I wanted to bring you the short and sweet from Guidance about the best stones from the Crystal Realms to work with from this Full Moon in Aquarius, which is also the first of three eclipses, through the second eclipse on September 1st at the New Moon. 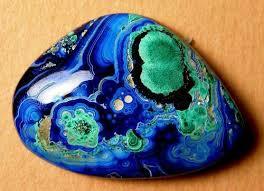 The combination stone Azurite/Malachite is a gift to assist us to look into ourselves from out own 3rd eye with highlighted clarity. Malachite is partnering to amplify and reflect these qualities that we are working with. As you probably already know, these recent times and through the end of this year particularly, are honed for expunging that which is no longer resonating with who we are and what we are becoming. During the eclipse season nothing can hide in the shadows. Use this time wisely to reach deep, go inward, and reflect on anything that limits you or in any way keeps you from Being Your Truth. 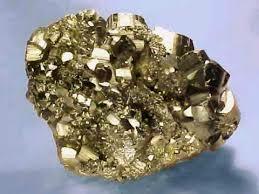 Pyrite’s energy is very helpful in this energy as well to bring Light to that “real” you, as you may be questioning what that is. Let the beauty of your True Self (the Leo energy here) shine out unabashedly. Then it’s your duty to reflect on how to put that out into the world in a way that serves, in a win-win way. Wearing and/or meditating with these stones, or doing ritual is best. These stones are toxic if ingested, so no gem waters, and wash your hands after handling. Facet Your Life With GemPowerment! © GemPowerment 2016. Please feel free to share these messages as you are guided including complete author and copyright information.